There is a trend in all levels of baseball toward an increased emphasis on pitching velocity. Pitching experts, coaches, and scouts may disagree on whether the increased emphasis is good for the future of the game, but the fact remains that how hard a pitcher throws is the primary factor used in evaluating them from the high school level, all the way up to the Major League level. Like any other subject, you can find loads of information on how to throw the baseball harder on the web. But is that information reliable or is it a scam? And how can you be sure either way? Picking random drills from YouTube and trying to learn how to throw the baseball harder without expert guidance could potentially put your arm health at risk. If you’re serious about increasing your pitching velocity, the wise choice would be to invest in a baseball velocity training program that is safe, comprehensive, and led by respected experts in the industry. Your arm will thank you later! After talking with other coaches and industry insiders, we’ve chosen two of the most popular and proven programs that can be found on the internet. Today we’re going to compare them to one another to see what each has to offer. Paul Reddick spent 14 years as the Director of the Yogi Berra Museum baseball camp. He has also served as an associate scout for the Pittsburgh Pirates and spent time as a coach in the Montreal Expos minor league system. Paul is an author and popular speaker. His books include The New Rules of Baseball Instruction, and best-seller, The Picture Perfect Pitcher, which he co-authored with highly esteemed pitching consultant Tom House. The video below is Paul Reddick a few years back speaking about core strength training for pitchers. Watch the video and you’ll get a sense of the knowledge and expertise that he possesses not only on pitching mechanics, but also on how the human body works and how that relates to pitching. Now let’s breakdown what you get with the Paul Reddick VIP Baseball 90 MPH Club. This velocity program is comprised of 14 videos. You can choose to purchase them as digital downloads or as a hard copy DVD (additional cost for shipping & handling). The course used to be overloaded with hours and hours of videos. But through feedback from users, Paul Reddick recently decided to boil the contents down to the videos that were making the most impact on pitchers. This also allowed him to reduce the price by a significant amount. Pitching velocity workout programs; including the 2 minute TORTURE workout (OUCH)! If you don’t see everything you need in the 90 MPH Club, there is more to be found at Paul Reddick VIP. In our opinion, one of the best part of the Paul Reddick VIP Baseball program is the option to add on or buy additional courses à la carte. The offerings include training on how to effectively use different types of pitches, additional information on pitching theory and mechanics, mental training, arm health and conditioning, and much more. This allows you to personalize your training for your own needs. He also offers a bundle of his most popular courses. Plus many, many more options…CLICK HERE to check out all of the options Reddick offers. Very affordable. If you look other places, this is a great deal for the amount of video instruction you’ll receive. Very focused and simplistic in its content, making it easy to follow. Don’t need any type of special equipment like weights or bands. All video, that can be bought as digital downloads or hard copy. Add on courses to create your own personalized program. Though the workouts Reddick provides will help you get stronger, they are not a full strength and conditioning program. However, there are options to add more videos on strength and conditioning. No one-on-one contact. While the common mistakes videos will likely solve most pitcher’s issues, it would be nice to be able to contact Reddick directly for feedback. Who Should Purchase the 90MPH Club? Considering the low price point of this program, we think it would be a good choice for just about anyone. 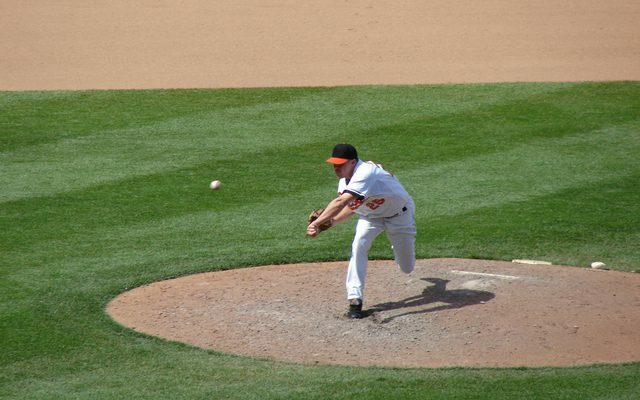 The average cost of a private pitching lesson is around $60. This program is currently priced at just $29. So for less than half the price of a typical pitching lesson, you can start a program that has safely helped thousands of pitchers increase their velocity. If you’re still hesitant, consider this. Reddick offers a 60 day money back guarantee. If you are not satisfied with the results you get from the program you will receive a refund. In fact, Paul goes as far as making a guarantee that you will see a minimum increase of at least 3 mph in the first 30 days. Brent Pourciau, owner and creator of TopVelocity and the 3X Extreme Pitching Velocity program, lives in the New Orleans area. He runs his TopVelocity training facility out of Mandeville, LA. Brent is a USA Weightlifting Certified Sports Performance Coach. He has also served as a bio-mechanics consultant with multiple Major League Baseball teams. His deep passion for pitching, and his continued search for the best training methods began during his own recovery from a rotator cuff injury. After the injury, a doctor told Brent that he would never be able to throw hard again. Instead of giving up, Brent studied pitching and bio-mechanics, and eventually found his way to an olympic lifting coach. In the first year of using an olympic lifting program, Brent’s fastball velocity increased 6 mph. With continued dedication in the weight room, Brent went on to play professionally in Europe and in the independent Golden League. He was able to get his fastball velocity up to 94 mph before his playing career ended. In the video below, you will be able to listen to Brent Pourciau breaking down the mechanics of one of his students. He is using video software to compare his student’s delivery to that of an elite college pitcher. *If you purchase one of the 3X Extreme Velocity Programs, Brent will do this for you. He will also follow up with you on the phone up to 5 times. The course has two purchase levels; Beginner & Advanced. When you purchase the Advanced version, you will still receive all of resources within the Beginner package, but also loads of additional resources. The sheer volume of resources that Brent provides is incredible. In fact, it can be a bit overwhelming to look over at one time. However, once you get into the program, it’s just like following any other type of coursework. Just take it one step at a time. Five phone sessions with Brent Pourciau (each up to one hour in length). One pitching video analysis where Brent Pourciau personally breaks down your mechanics. One-on-one email communication with Brent Pourciau throughout the program. Discounts to 3X Pitching Camps. They are extensive and complete. You won’t need to look elsewhere. Personal, one-on-one contact and coaching from the creator of the program, Brent Pourciau. A focus on building athleticism that will crossover into other sports and activities, and get you in tremendous shape. Has your long-term development as a pitcher in mind. Expert guidance throughout the program. Individualized information, tailored to your needs as a pitcher. They are hard work. Don’t buy them if you don’t think you will stick out the workouts. You need to have access to free weights. The amount of PDFs can be a bit overwhelming. Cost may prevent some from purchasing. Who Should Purchase the 3X Beginner Program? The Beginner Program, in our opinion would be a great buy for high school (and serious middle school aged) players and coaches. High school and travel baseball coaches, if you are in need of a training program for your pitchers, you will not find a better one out there! WARNING: This program is not for the faint of heart! If you are not willing to put work in, this is not for you. But, if you’re serious, then you can expect to get the best results you will ever see from a training program! It is, and has been THAT effective for pitchers at every level of the game. Brent offers a 60 Day, “double” money-back guarantee. You can receive your money back for two reasons. First, you will get a refund if you are not satisfied with the results of the product and don’t think they are the best results you have ever seen. Second, you will also receive a refund if you are not satisfied with the service and purchase process. Who Should Purchase the 3X Advanced Program? The 3X Advanced Program would be a great option for serious high school pitchers and coaches of elite high school and travel programs. It’s also perfect for college and professional players looking for a new and more intense training regiment. If you’ve tried it all, but still can’t get your velocity where you want it, this is the program for you. Again, it is not easy! You will have to put a lot of hard work in! But, like anything else, if you want exceptional results, you must put in exceptional effort! The Advanced Program carries the same 60-Day Money Back Guarantee as the Beginner Program. If you are thinking about long-term development, serious about doing whatever it takes to throw harder, and willing to put in the work, go with one of the 3X Extreme Pitching Velocity Programs. They are the most comprehensive and complete velocity programs out there. You will receive personalized guidance from the course creator himself. Your results long term will most likely be better with one of these programs. If you are on a tight budget or not interested in taking on a full olympic style strength program go with Paul Reddick VIP Baseball 90 MPH Club. With little monetary risk, you could potentially see big gains. This great, exactly what i’m looking for. 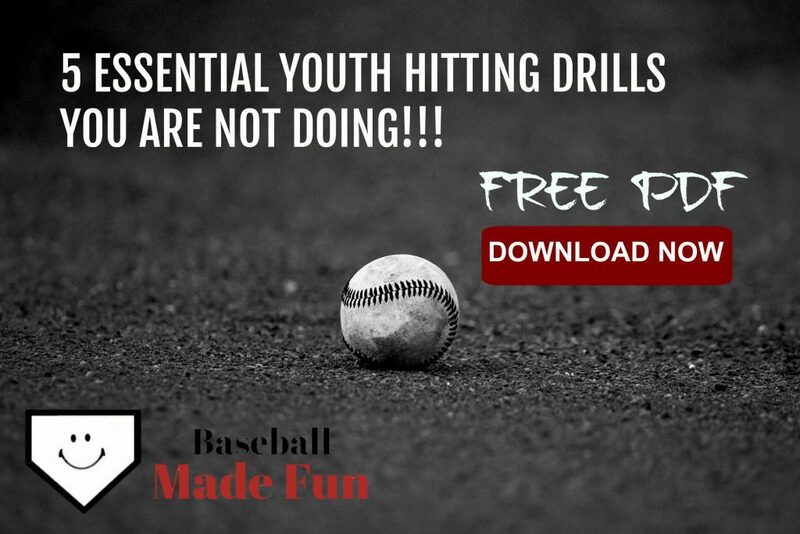 I’ve came across this program a couple times and was interested in it because i have a son that loves to play baseball, but i could never find no solid reviews to make the investment. You answered all my questions I had about the program and can’t wait to get my son started. Thanks. Glad to help Garrett. Either program would be a solid choice for your son. Wishing him the best of luck with his future in baseball! Safety is so important for young players. We had a guy at our high school who had an ungodly fastball and all of the potential in the world. Full scholarship to a major school. The kid got drafted 1st pick right out of high school and started his career. Minor league was going well and then pop, there goes the rotator cuff. I’m sure he looks back and wishes he could have been more careful. Great info on this site! Thanks for sharing that Nik. That happens more often than one might think. I’d be interested to learn how he was used on the mound throughout his youth and high school days. Too often you hear about youth and high school teams riding one pitcher for the majority of the innings in a season. There’s no debating that overuse during those early years makes one vulnerable to injury later on. Luckily leagues and organizations are taking note and implementing safety measures, but there is still a long way to go to fully educate our youth and high school coaches and parents. As you guys have mentioned, the stress and wear on these kids arms at their ages is increasingly alarming so having proper tutorials like both of the ones outlined here is great. Proper instruction and proper education for these young athletes would go a long way to lessening the concern. You’re exactly right Bill. I hope that baseball leagues, coaches and parents continue to wise up when it comes to arm health. Both of these programs are helping to spread the notion that proper mechanics and strength and conditioning are the keys to safely increase velocity. Throwing more or throwing weighted balls is not the answer! Thanks for the info Ryan! Do you have an opinion about Elite Velocity Program? I had not heard of the Elite Velocity Program before your comment. This seems to be a newer program. I’m encouraged by the comprehensive approach that they talk about on their website. Training the body through strength, conditioning, diet, and sleep (have never seen that mentioned in a velocity program before! ), along with throwing and mechanics is the way to go. While there may not be as many testimonials and success stories as the programs that have been around a while, Elite Velocity seems like they have their heads in the right place and will likely be successful in helping high school pitchers safely add velocity. I’d still recommend 3X Pitching Velocity over Elite Velocity, simply because it is proven and I trust Brent Pourciau. But Elite Velocity seems like it may be worth a try as well. Great job with the reviews Ryan. Thanks. I’m doing Elite Velocity Program with my son now for about the past 40 days. So far it is working out great. His throwing velocity has increased 9 mph and his hitting velo is up 10! No doubt because of the workout program, but like you said, there is so much more to it. Plus this program mentioned it was not just for pitchers which was just what I wanted. Thanks again and keep up the great work. Great to hear, Don! Hard work really does pay off. I think too often players get so caught up in the skill side of baseball, that they neglect training their overall strength and conditioning, functional movement, stability & mobility. These programs are great for that!